Cool, classy and relaxed, this porcelain kitchen is the epitome of an easy-going soft country style. Our Utopia kitchen design has a style that combines the traditional style kitchen with modern updates, making it the perfect kitchen design for those that want the best of both worlds! The Utopia, and many of our other kitchens come with fitting included. 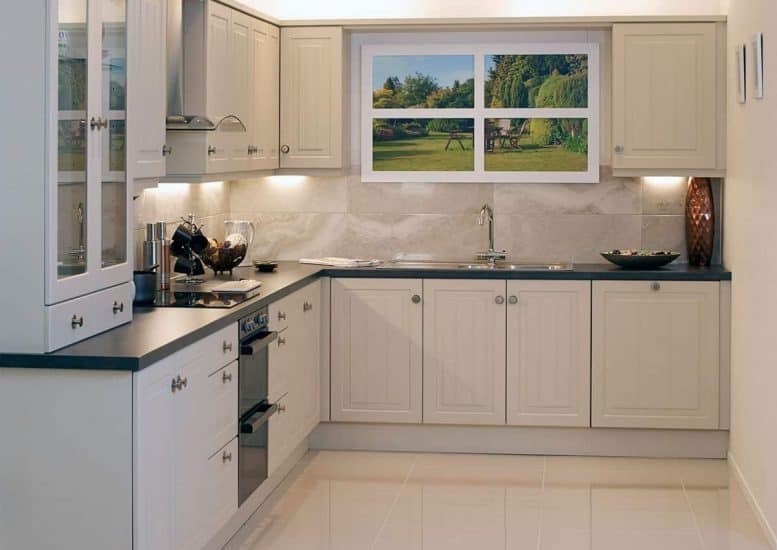 All of our kitchens come with a Starplan quality guarantee; carcasses, handles and door knobs are covered for up to 10 years, whilst the doors, drawer fronts, pilasters, MDF panels & tops are covered for up to 6 years. 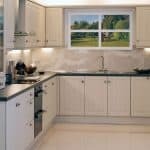 All of our kitchens are created to fit your home, no matter how big or small your kitchen space may be. Our kitchen factory showroom allows us to cut out the middle man and make your kitchens bespoke to your needs. So if you want to start your Starplan kitchen journey today, we are here to guide you through the whole process. Our free, no obligation home design visits means that we can measure, create and work with you, from the comfort of your own to create your perfect kitchen. With fitted kitchen showrooms in Dungannon, Bangor, Newtownabbey, Coleraine, Portadown and Belfast, it’s never been easier to find exactly what you’re looking for.